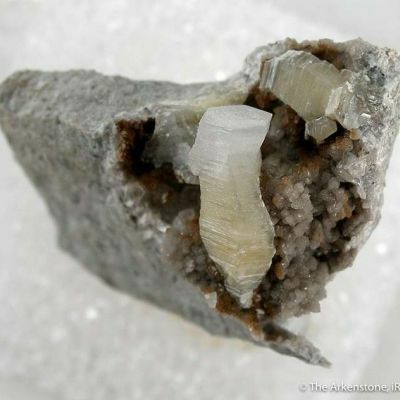 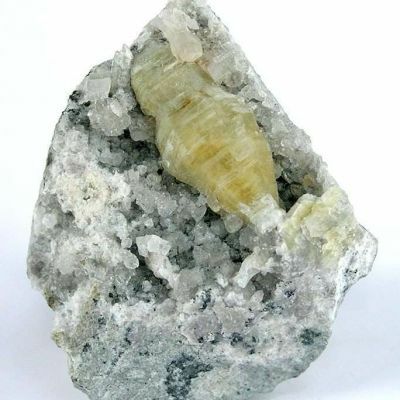 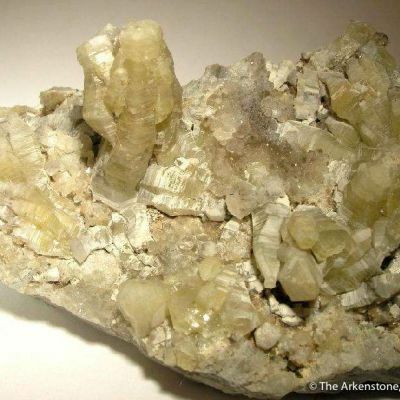 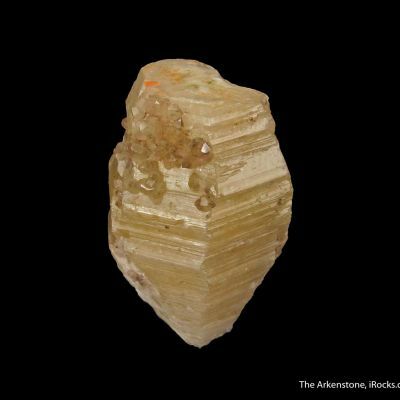 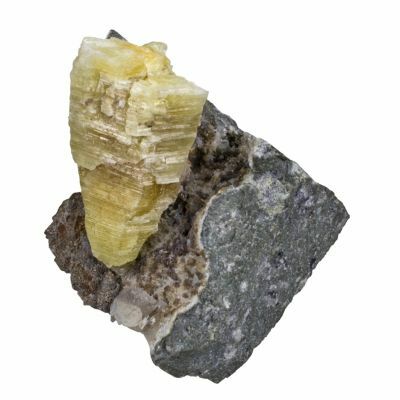 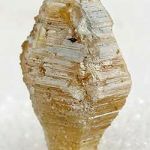 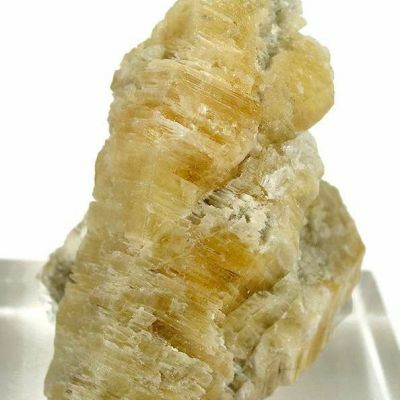 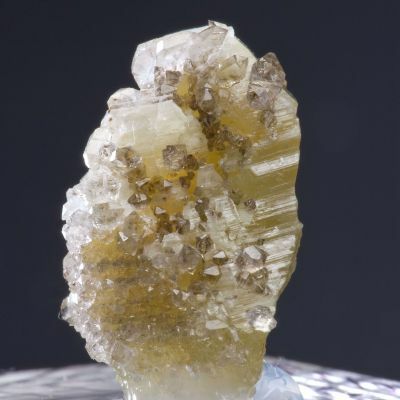 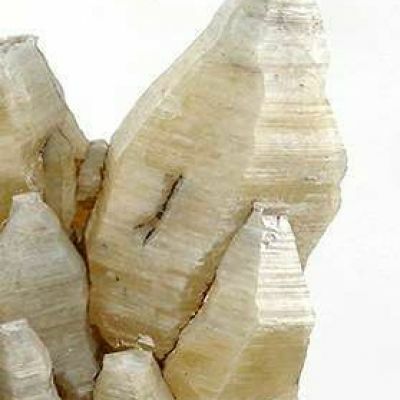 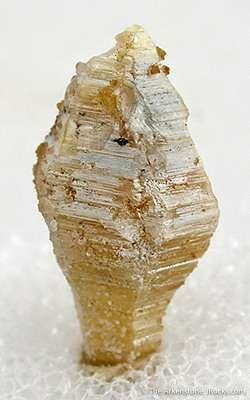 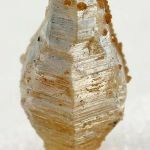 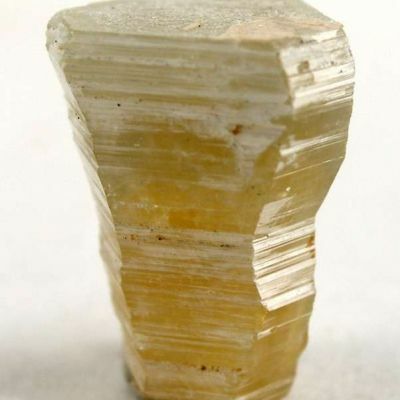 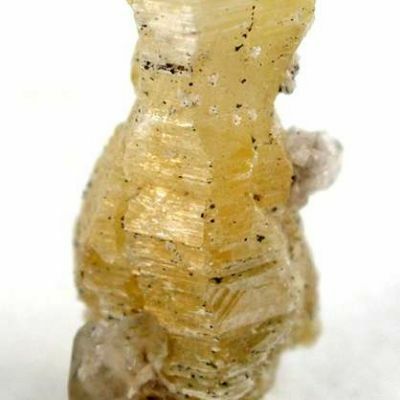 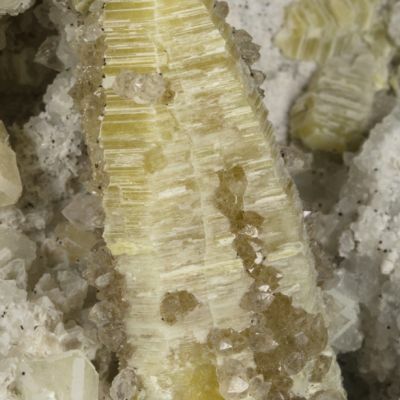 An unusual crystal in that it is very symmetric on all axes, and not distorted as are so many large crystals of this species. 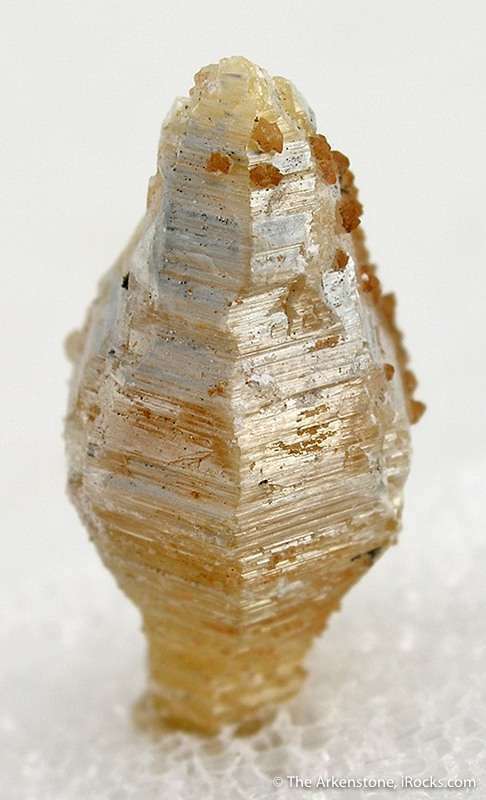 It is coated with minute crystals of a brown species, perhaps siderite. 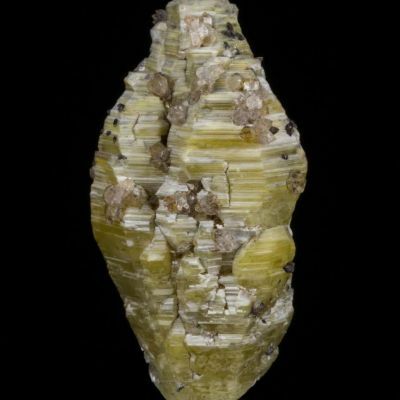 When backlit, translucent yellow!